This example shows how to generate data from a known model, fit a diffuse state-space model to the data, and then smooth the states. where and are Gaussian with mean 0 and standard deviation 1. The last 25 values for the simulated MA(1) data are NaN values. for the last 25 periods, where is Gaussian with mean 0 and standard deviation 1. Use the random latent state process (x) and the observation equation to generate observations. for the last 24 periods. Write a function that specifies how the parameters in params map to the state-space model matrices, the initial state values, and the type of state. % Copyright 2015 The MathWorks, Inc.
% just the AR(2) model. The AR(2) model is diffuse. Save this code as a file named diffuseAR2MAParamMap on your MATLAB® path. Create the diffuse state-space model by passing the function diffuseAR2MAParamMap as a function handle to dssm. dssm implicitly creates the diffuse state-space model. Usually, you cannot verify diffuse state-space models that are implicitly created. To estimate the parameters, pass the observed responses (y) to estimate. Specify an arbitrary set of positive initial values for the unknown parameters. 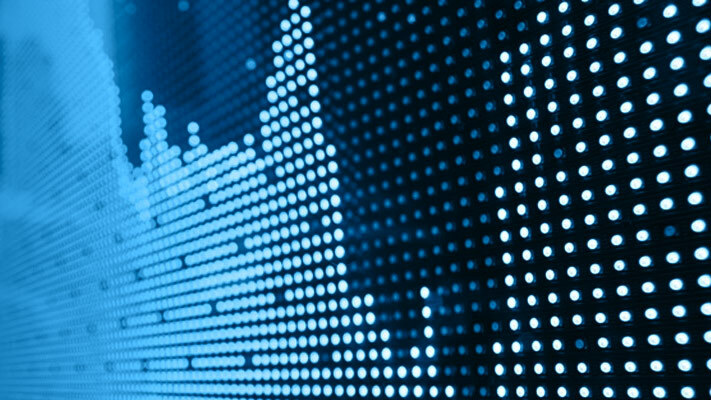 EstMdl is a dssm model containing the estimated coefficients. Likelihood surfaces of state-space models might contain local maxima. Therefore, try several initial parameter values, or consider using refine. Smooth the states and obtain the smoothed state covariance matrix per period by passing EstMdl and the observed responses to smooth. Output is a T-by-1 structure array that contains the smoothed states. Convert Output to a table. The first two rows of the table contain empty cells or zeros, which correspond to the observations required to initialize the diffuse Kalman filter. That is, SwitchTime is 2. 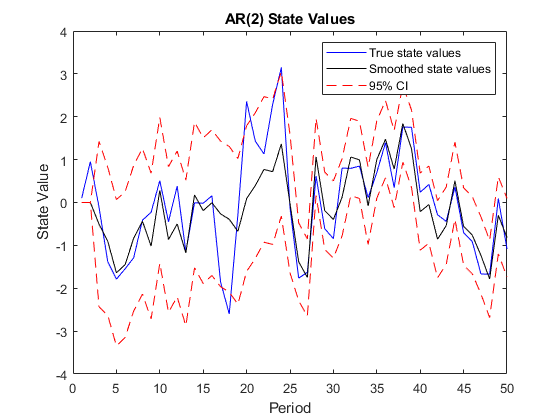 Extract the smoothed states from Output, and compute their 95% individual, Wald-type confidence intervals. Recall that the two different states are in positions 1 and 3. The states in positions 2 and 4 help to specify the processes of interest. 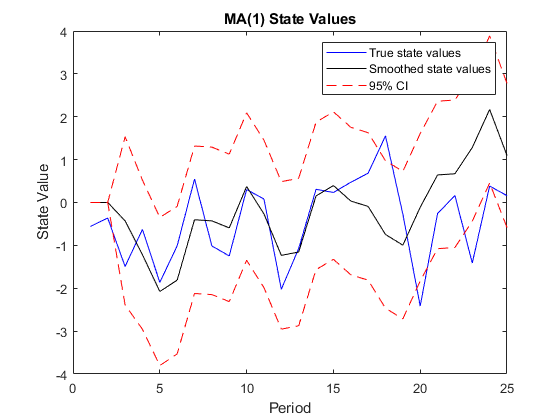 Plot the true state values, the smoothed states, and the 95% smoothed-state confidence intervals for each model. What Is the Kalman Filter?